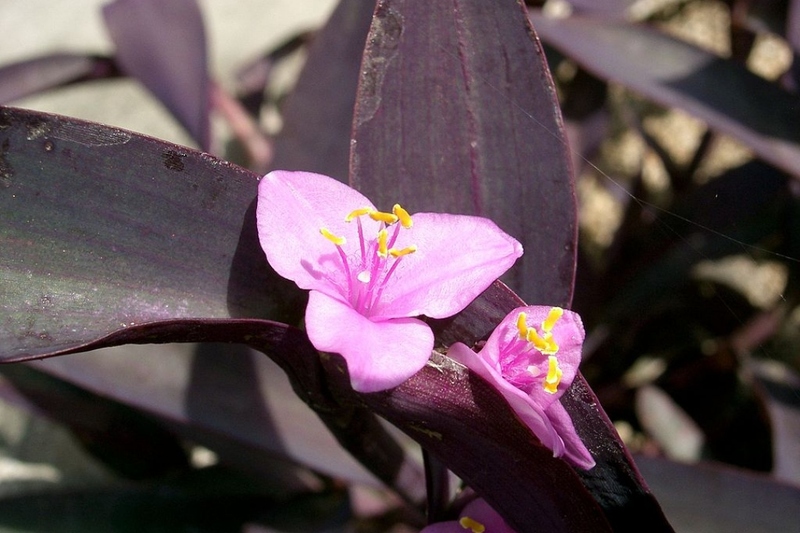 Purple wandering jew (Tradescendia pallida): growing, planting, caring. Indoor plant native to Mexico with beautiful purple foliage. 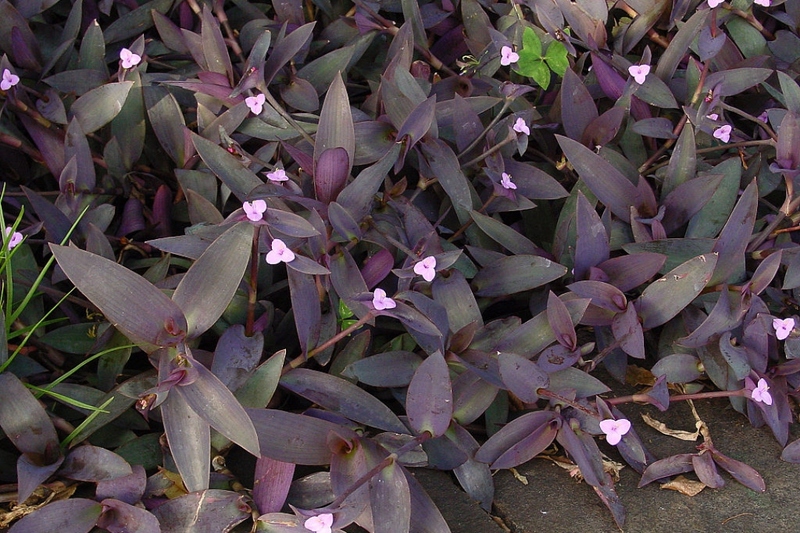 The leaves of purple wandering jew are long, purple and hairy. It is a plant up to 1.5 m that blooms in the summer, bright pink. You must grow it in a pot except in a very mild climate. In a temperate climate, it can spend sometime outdoors in the summer. In pots, plant in a mix of loam and compost on a bed of gravel. Choose a container measures at least 20 cm wide, and that is rather deep, to store water as long as possible. Place it in the light but protected from direct sun. Spiderworts like water, so water every two days the first month, then twice a week during the rest of the growing season. In winter, space the waterings. In pots, replace the top soil layer in March with some compost. You can also give them some nettle manure diluted by 1/10 every two weeks. To propagate our spiderworts you can easily cut a part of the tuft with a spade and replant it in another pot. It is better to do it in the spring or fall. Your plant isn't hardy - tuck it in for the winter ! When the warm days are here, put it out, in the light but not direct sun.